Grape Variety : Pinot Noir. Site: on a slope with good south exposure, Maranges is located at the very end of the Côte de Beaune, near Santenay, Rully and Mercurey. 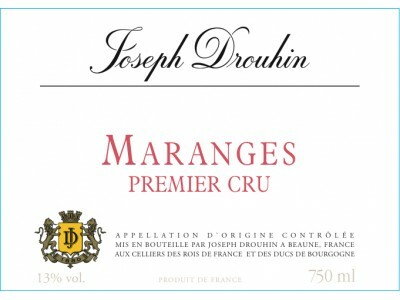 History & tradition: Pinot Noir has been planted here for quite a long time, but the appellation Maranges Premier Cru is recent. 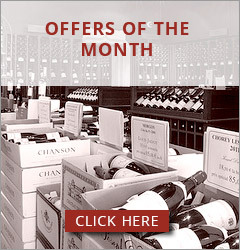 It is in fact a Premier Cru vineyard covering three villages, Cheilly, Dezize and Champigny. Tasting note by Véronique Boss-Drouhin "An elegant wine with a character all of its own! Bright, vivid, red colour. Intense and fruity nose where notes of wet undergrowth and wild nature can be detected. Fleshy and well structured on the palate. A little chunky in its youth, it becomes rounder and delicious to drink as it gets older. Very flavourful aftertaste". Serving Temperature : 16°C (61-62°F). Cellaring: 4 to 12 years.